While distributing dry rations among the Muslim devotees gathered at the Davia Mansjeed mosque at Matara Minister of youth affairs Hon Dullas Allahpperumma said that if it had not been for his Excellency the president Samanthureyi, Kalmuneyi, Akkarapatthu,would have been soaked by the blood of the Muslims. This meeting was presided over by Moulavi Akram. The minister of Agriculture, Hon Mahinda Yapa Abewardane Mr. Namal Rajapaksha M.P and Mr. Aruna Gunawardane Provincial councillor also attended these functions. Hon. Minister Dullas you are exactly correct! Not only Eastern Province becomes a Gaza. If Ranil Wicramasinghe and his UNP + muslim congress coalition came to power in 2005 at this moment racist terrorist velupillai is the supreme leader, president and prime minister of tamil eelam and1/3 of the land + 2/3 of the coastal area is under tamil terrorists and Sri Lanka will divide in to three countries, Sri Lanka, tamil eelam, and malaya nadu (up country tamil eelam) similar to Yugoslavia. If velupillai came to power upcountry tamils also join with eelam and fighting going on in Uva and Nuwaraeliya districts with the help of velu and tamil nadu expansionist Karunanidhi, Vaiko, Jaya Lalitha. Rather than peace whole country would be similar to Lebonon in 1970 era. Possibility of Tamil nadu tamils and eelam tamil joint forces invade the Sri Lanka. Several millions of Sinhala sons had to sacrifice their lives to protect from tamil eelam and tamil nadu invasion. Sinhala citizen who lived in Eastern province will be a refugee in their own country as Palestinians. Gokanna (Trincomalee) harbor is a totally an American + NATO naval base take over by Americans to control South Asian ocean as like in Okinawa. If not Hon President Mahinda and Hon.Gotabaya came to power in 2005 at this moment Sri Lanka have scenarios of Gaza, Yugoslavia, Okinawa, Lebanon and Palestine. Unfortunately some Sinhalas forgot this reality within just a year. I am sad. President did not lose his son. Many poor village mothers and fathers did. May you be grateful to them too! Thanks for your comment! I totally agree with you that war heroes did a great scarification to liberate our country from tamil racist terrorist velupillai and gang. In our war against terrorism actually ordinary Sinhala and Muslim citizen contributed financial support also to treasury more than 30 years on defense levy, GST, Import tax, cess etc. That too has to appreciate. Political leadership is the one who take decisions. We had an army during Ranil’s uncle JRJ, Premadasa, CBK’s presidency. But our political leadership failed to manage the international relationship tactfully. Therefore we had to drag the war for more than 30 years and ultimately terrorists were recognized and if not President Mahinda, Hon. Gotabaya and the war heroes they were about to form eelam within Sri Lanka. Can’t you remember how Milliband and Kouchner came to Sri Lanka with out any diplomatic protocol? What will happen if CBK or Ranil were in power? Don’t you think those spineless leadership will crawl in front of Milliband. Can’t you remember how Rajiv Gandhi invaded Sri Lanka to save velupillai? Why General Kobbekaduwa had to stop the Vadamarachchi operation at the crucial time? JRJ and UNP’s political leadership were not managing the international relationship correctly. Why India has not dropped Parippu in 2009? I hope you know that American marines tried to invade Sri Lanka and planned to save velupillai and other terrorists in Mulativu in 2009 May. 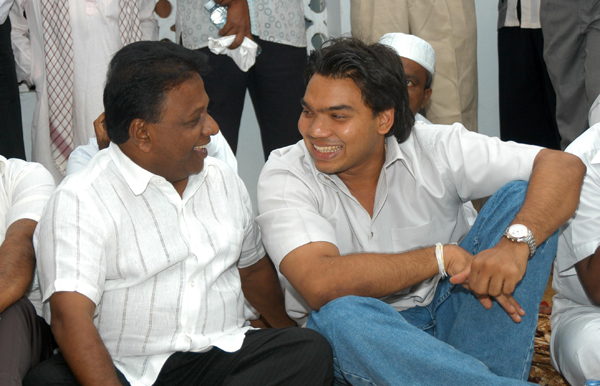 They knew political leadership and Sinhala patriots were together at that time. Therefore Americans had to give up the idea. The political leadership comes up in civil society after the war. In our history King Dutugemunu came ahead of commander Nandimitra. King Parakramabahu came ahead of commander Lankapura. In Russia Stalin came ahead of General Zhukov, Fidel Castro came ahead of Camilo Cienfuegos, Ho Chi Ming came ahead of Nguen Van Giap, Mao Tse Tung came ahead of Chu Teah, So President Mahinda too! If not bias, whatever the political view, Sinhala nation should grateful to President Mahinda and Hon Gotabaya for save our country from racist tamil terrorism.